The self-contained upright carpet extractor works well in both open and encumbered areas that you are cleaning. Unit holds 2+ gallons of hot water and cleaning solution and features a row of belt driven brushes that clean both commercial and residential carpets, as well as a removable waste collection tank. Machine also has a port for use with an upholstery attachment, which we rent for an additonal fee. 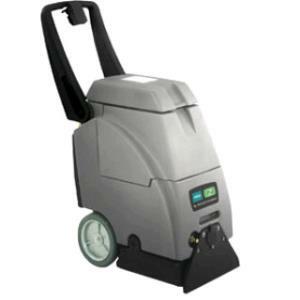 We carry a full line of carpet cleaning solutions for high traffic, pet, upholstery, and general duty applications. * Please call us for any questions on our carpet cleaner upright rentals in Hillsdale and Ridgewood NJ.